Amsterdam, 17 January 2011 - SkyTeam has officially launched an innovative new mobile offering to all passengers traveling with any of its thirteen member airlines. 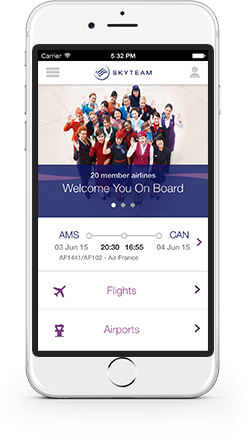 The SkyTeam app for the iPhone and iPad is available for free on the iTunes App Store. Android users can visit the Android Market to download the app.